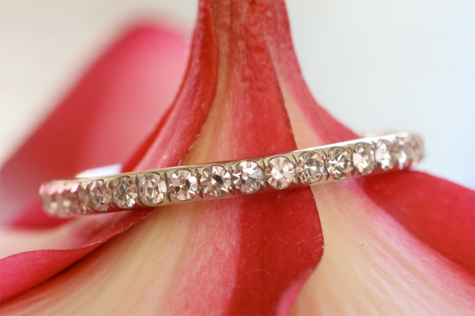 This week’s featured jewel is a pavé diamond wedding band posted by Newjewels. Thanks everyone for sharing your gorgeous jewelry in the Show Me the Bling forum! This single cut diamond eternity band is the perfect complement to Newjewels’s classic engagement ring, which features a 1.57 carat G VS1 cushion cut diamond. The band is handcrafted in platinum with 38 single cut diamonds of .50ctw. Visit Newjewels’s thread for additional images and information: Victor Canera pave eternity band with single cuts! 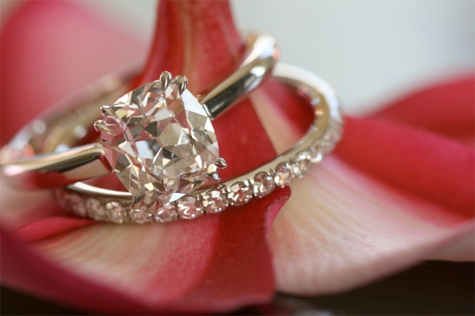 Thanks for sharing, Newjewels, and welcome to Pricescope! 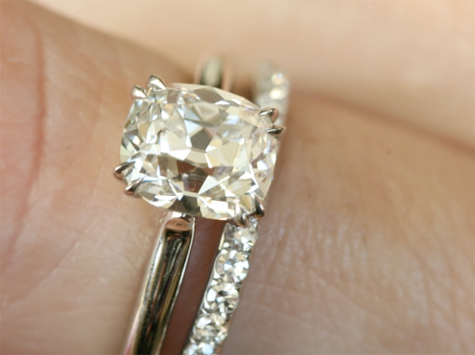 My upgrade: antique cushion set in Leon Mege solitaire!